Something’s hit the video game market, and it’s a little blue man. I’m talking about Shovel Knight! This blue ditch digger hit the market with a blast from the past. Wait, this game came out a while ago, I’m a little behind the times aren’t I? Independent gaming has a serious market these days, bringing in serious cash to small game developers. How much cash? It’s hard to say with the developers making not being apart of larger publishers or gaming companies that are required to record their gross net profit. The video game industry as a whole is worth a little over $66 billion dollars (in 2013). Most of this money is coming from video game hipsters like me. But what struck gold with the indie market? Games like Braid and Shovel Knight hit the nail on the head, but were they before the boom, or were they just riding the aftershock? Let’s start from the beginning. The birth of Indie Gaming began in the early 1990’s on the PC. 2D games could be shared via shareware. But soon, technology advanced, standards rose, and 2D gave way to 3D. Not always the best choice in many cases. Sonic I’m looking at you. Then, in the later half of the 2000’s, the sale of indie games steadily rose. Xbox Live and Steam brought the games right to the consumer, and things like Kickstarter allowed people to essentially preorder and help fund a game themselves. It’s thanks to these new distribution methods that allowed indie games to gain such popularity in the gaming mainstream. But what is an indie game? Is it a game with an affinity toward handle bar mustaches, cigarettes, and chai lattes? Do they sing sweet songs in a mildly monotone voice about how a relationship went horribly awry with the occasional “Hey” or “Ho” placed ever so carefully between a G chord and a B minor? What’s widely accepted though is that a single developer, or a small team of developers, who are funded independently of big name game publishers, are the usual suspect as indie game developers. So that’s one characteristic we have to identify in these games. Another important factor is that these games are sold digitally. This brings in more revenue to the developers, and gets their product out faster than you can say Minecraft. But another big point about indie games is the graphics. For the most part, indie games seem to be art centric when it comes to graphic style. Choosing blocky pixelated pigs over 4k textures was a choice after all, a specific choice. Whether it was to make the game run smoothly, or for artistic expression, indie games all have unique graphic styles. Take a look at Limbo, dark silhouettes, lifeless white eyes, dirty gritty atmosphere; it’s an independent film in playable form, minus French, and an old man smoking. Let’s look at another game. LISA, it’s bee out for a while and I’m in love. It reminds me a lot of earthbound, but with a darker sense of humor and less hamburgers. A unique plot involving the end of the world, creepy mutated monsters, and inner demons? Sign me up! The game was made by Austin Jorgensen and backed on Kickstarter by over 800 people. But mind you this game is painful, emotionally and visually at times. The game showed a demo before hand to give people funding the game a glimpse of what was to come, so obviously people liked the idea of fighting inner demons as the last dad on Earth. So turn your empathy to zero and beat up the last remnants of civilization. This brings up another point. Indie games are weird, super weird. I’m talking playing as a living meat wad weird. I’m talking super addictive LOZ style dungeon crawling but you’re using your tears to kill living poop inside your mother’s womb weird. Why are these games so weird? Simple, Because. They. Can. Without big name publishers breathing down the developers’ necks, the creators of these games can get as artsy fartsy or super crazy wacked out as they want. Let your freaky flags fly Indie Developers! 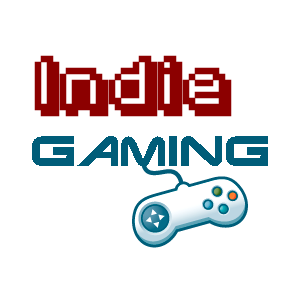 Indie games are a staple of the video game market these days, allowing unknown game developers to get their names heard and possibly make a living off of something they love to do. As for what started the enterprise? It’s hard to say. The rise of indie gaming seemed to be a slow steady climb that shot up with the advancement of technology. So thank you Internet for games like The Plan, where you play as a fly, and nothing more.